To make sure a rifle remains in good condition and trouble free you should use special weapon cleaning products. 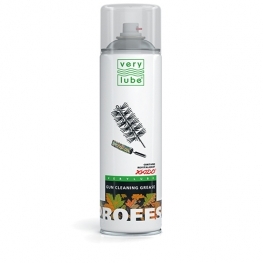 XADO greases, cleaners and Revitalizants are specifically designed for this purpose. Furthermore, you should carry out a proper seasonal maintenance of any weapon. Rifle’s maintenance is a difficult process which doesn’t always bring desirable effects. To thoroughly clean a rifle, you should use XADO cleaning foam designed to clean all types of barrels. 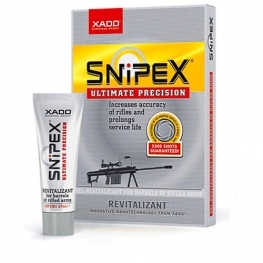 It is recommended that you use the product to clean rifled and smoothbore weapon of any caliber. It is worth noting that you will get a better quality clean by using a foam cleaner than you would get if you used standard cleaning oils and tough ruffs. XADO cleaning foam effectively cleans soft metal sediments from the internal barrel surfaces. If you want to kill two birds with one stone and clean and grease the rifle, then XADO weapon cleaning spray lubricant with Revitalizant is what you want. The product will help you to remove all internal dirt and contaminants from hunting, sporting, fighting or antique rifles. Our cleaning spray lubricant will also protect the barrel from corrosion and guarantees the smooth operation of the weapon’s working parts.